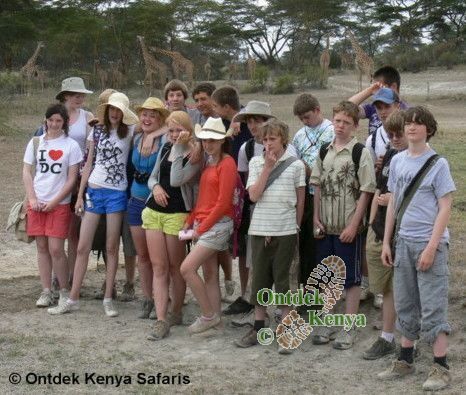 Ontdek Kenya organizes educational travel and tours for high schools, colleges, universities and alumni associations that are seeking quality and truly nature based academic study tours that go beyond the morning and afternoon safaris game drives. Go immediately to our standard itineraries for educational travel in Kenya. School trips are not just a fad in Ontdek's offering - teaching and all matters educational run deep with us as one of the directors, Anne, is a secondary school teacher by training with practical classroom experience. She has taught agriculture and sciences for 5 yrs to 14-18 yrs students. It is with this background and our experience of organizing safaris since 1996, that we invite you to entrust us with your educational travel in Africa, because we clearly connect with your students educational needs. We work hard to design school field trips that have soft activities, keep students away from mass tourism and at the same time raise their intellectual curiosity making them question the "Whys" of the world around them. 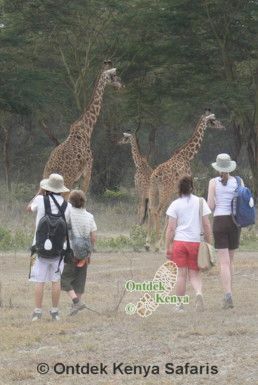 Ontdek has made a deliberate decision to offer educational tours strictly in Kenya, meaning we can maintain the high standards for which we are known for. 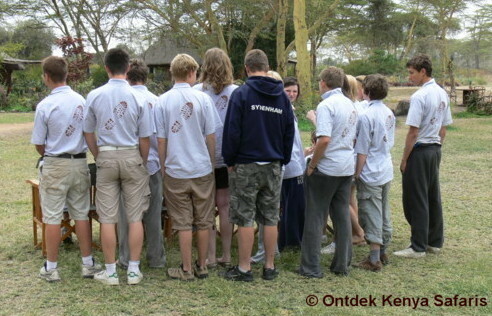 Contact Ontdek Kenya Safaris for a tailor-made high school trips to Kenya. What makes Ontdek's students travel to Kenya unique? In choosing an outfitter for your educational travel in Africa it matters that you pick one who shares your interest and is of course reliable. Ontdek Kenya fits this bill and we invite you to consider traveling with us. We look forward to consulting with you for your Kenya school tour. On this student travel itinerary you visit Kenya's parks where plains game still roams free in total absence of mass tourism. Start with the Swara Plains, a private wildlife conservancy with limited numbers of visitors and no minibuses. A safari in Amboseli with the snow-capped Kilimanjaro takes 3 days giving us enough time to see huge herds of elephants, rhinos, buffaloes, cats and plains game. In this students trip we keep students on their feet as they enjoy soft game viewing walks in Crater Lake and Crescent Island sanctuaries, Hell’s Gate National Park where there are guaranteed sightings of Giraffes, Waterbucks, Elands, Zebras and various Gazelles. In these areas they will be free from mass tourism. Ontdek organizes school trips with guided walking adventures in Kenya's northern lakes away from mass tourism. Relaxed hikes, hot springs, thousands of flamingos, unique Njemp's culture, over 400 birds species plus of course wildlife viewing are the hallmark of this students travel.